I just released a new version of Kankuru. Here’s the changelog. I wanted to do it for months and it’s done. The main dashboard check errorlogs, job log, active sessions and sometimes you don’t want to see some messages. 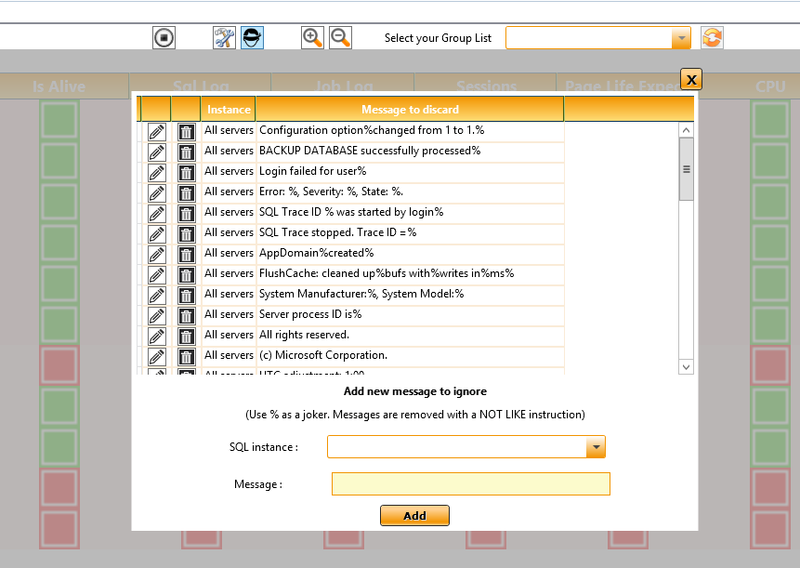 For example, when a backup is successfull there is a line in the sql error log. This line is not marked as an informational message so by default Kankuru will raise an alert. You were able to ignore this message if you inserted a line in the good kankuru table. Now, you can manage these messages directly in Kankuru. You can apply these filters on each Sql instance or only 1 specific server. It should be unvisible for you but you can trust me I worked many hours to rewrite the thread factory. Kankuru is now more stable, performant and less intrusive. Someone asked me to add active trace flags in ID Card (thanks Fred). I took the opportunity to add the memory usage. Trace flag are selected by KMO with this commit. Memory usage is a property exposed by SMO (PhysicalMemoryUsageInKB). Last versions were hardcoded in Kankuru and updatable via internet. 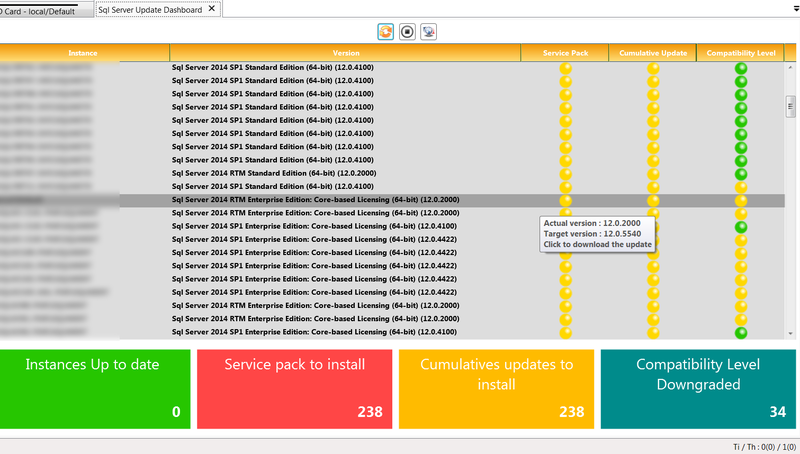 Now, last versions are in KMO. In my current job, I worked on migration from 2008R2 to 2014, I needed a tool to check that all databases are in the good compatibility level. So I added a new column which check that there are no database with a lower compatibility level than instance. This new column is using KMO with this commit. Recently, I found a bug in this tool. I fix the problem with this commit and I also added 2 new columns to know when the table was created and updated. In the previous post, Tonix told he had an issue with the Dashboard AlwaysOn to monitore availability groups. I fixed an issue. The rss reader was reloaded each time you activated the sheet. I still have a bug on AlwaysON dashboard, not sure what it is, but it is not working. I rolled back to 1.3.1 to have this dashboard working correctly.